Constant Wi-Fi access is becoming the norm in today's always-connected world, both for an increasingly mobile workforce and for consumers. Moreover, mobile devices and social media applications continue to grow and proliferate, putting tremendous pressure on wireless networks, especially in outdoor user environments such as outdoor business campuses, school campuses, pools, and other public settings. To stay connected, people need dependable, business-class wireless access to network applications anytime, anywhere, whether they are indoors or outdoors. The Cisco®WAP571E Wireless-AC/N Dual Radio Outdoor Wireless Access Point is purpose-built to meet the demands of your outdoor spaces. The WAP571E access point offers a rugged housing built to handle anything from rain, snow, and even high or low temperatures. 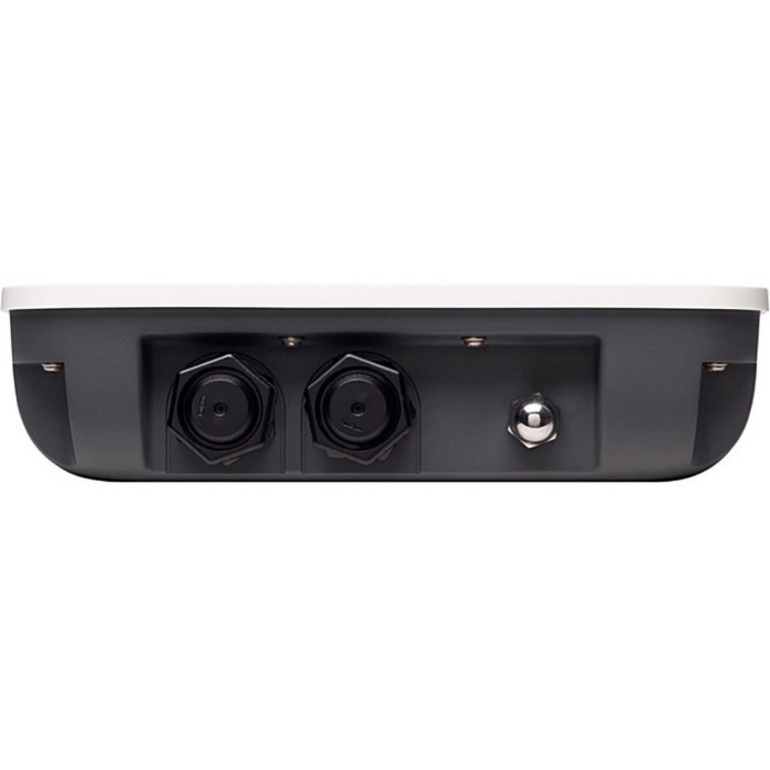 The WAP571E Wireless-AC/N Dual Radio Outdoor Wireless Access Point provides a simple, cost-effective way to extend highly secure, high-performance mobile networking to outdoor spaces. It uses concurrent, dual-band radio for improved coverage and user capacity. The 3x3 multiple-input multiple-output (MIMO) technology with three spatial streams allows the access point to run at maximum performance in both the 5.0-GHz and 2.4-GHz frequency. Gigabit Ethernet LAN interfaces with Power over Ethernet (PoE) facilitates flexible installation and can reduce cabling and wiring costs. Intelligent quality-of-service (QoS) features let you prioritize bandwidth-sensitive traffic for voice over IP (VoIP) and video applications. To provide highly secure guest access to visitors and other users, the WAP571E Wireless-AC/N Dual Radio Outdoor Wireless Access Point supports a captive portal with multiple authentication options and the ability to configure rights, roles, and bandwidth. A customized guest login page lets you present a welcome message and access details, and reinforces your brand with company logos. WAP571E Wireless-AC/N Dual Radio Outdoor Wireless Access Points are easy to set up and use, with an intuitive wizard-based configuration to get you up and running in minutes. An attractive design with flexible mounting options allows the access points to smoothly blend into any small-business environment. To enhance reliability and safeguard sensitive business information, WAP571E Wireless-AC/N Dual Radio Outdoor Wireless Access Points support both Wi-Fi Protected Access (WPA) Personal and Enterprise, encoding all your wireless transmissions with powerful encryption. In addition, 802.1X RADIUS authentication helps keep unauthorized users out. Designed to scale smoothly as your organization grows, the access points feature controller-less Single Point Setup, which simplifies the deployment of multiple access points without additional hardware. With the WAP571E Wireless-AC/N Dual Radio Outdoor Wireless Access Point, you can extend business-class wireless networking to employees and guests anywhere in the business properties, with the flexibility to meet new business needs for years to come.